While on one of my many trips to my local Lot Less discount store, I happened to spot a few makeup brushes by Paris Presents on display, for $1.99 each. I love trying new makeup brushes so I picked up two to try out. 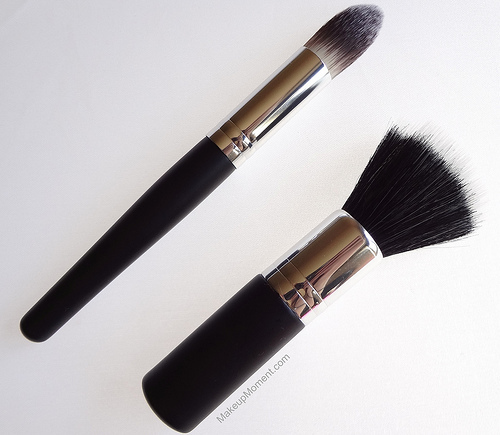 Today, we are going to be taking a look at the precision foundation brush, and the highlighter brush. 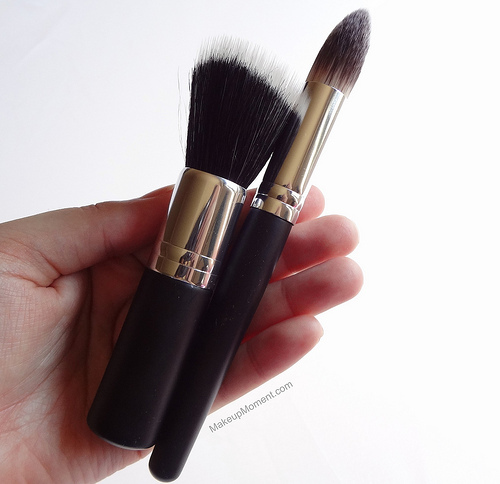 Precision Foundation Brush: I absolutely love this brush. This was actually my first time using a tapered, pointed foundation brush, and I am just in awe of how amazing it applies and blends in my liquid foundation. The finished result is always smooth, flawless and streak-free. The brush is really sturdy, doesn't shed, and the synthetic hairs are super soft. The shape of the brush is great because it not only covers larger areas of the face, but also the smaller, hard to reach areas as well. 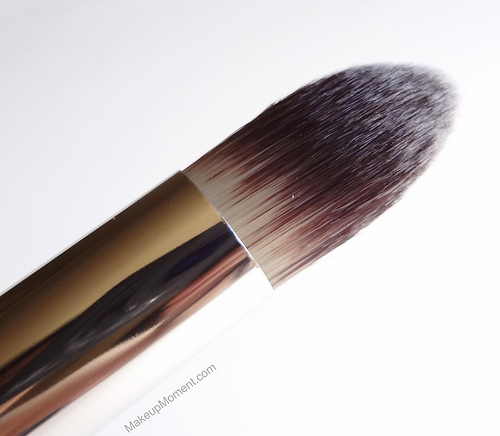 Highlighter Brush: I initially purchased this natural/synthetic bristled brush for applying liquid foundation and although it does a nice job at that, this brush has a few quirks that I don't think I can overlook. First of all, the bristles feel rough and scratchy on my face-not cool. Second, the hairs shed like nobody's business. And lastly, after washing this brush I noticed that once it dried, the bristles had an unpleasant burnt scent. I am going to try washing the brush again a few more times to see if the burnt scent disappears. 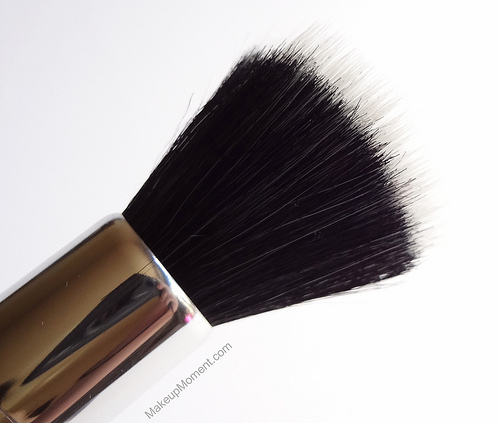 Overall: The precision foundation brush is really an all around great brush, and if you happen to spot it, I highly suggest giving it a go. The highlighter brush on the other hand, just didn't do it for me. The roughness, shedding, and the burnt smell were huge deal breakers. As I mentioned above, I purchased these at my local Lot Less discount store but after doing some online research, I found out that Paris Presents makeup brushes are also available at Wal-Mart. What do you all think of Paris Presents makeup brushes? Which are your favorites? I have never heard of Paris Presents either, before I tried these brushes. 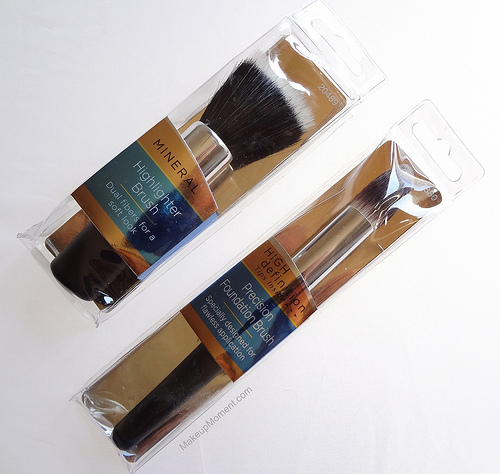 The precision foundation one is a winner for sure and I can't wait to try more brushes from this brand! Wow, I like how these look, never heard of them but I am gonna go on a hunt for that foundation brush at Walmart.